Join our Tour Manager for a winter-warming holiday packed full of escorted tours that lift the lid on this wonderful island destination and its smaller, greener sister-island, Gozo. Bustling modern resorts, hidden coves, a rugged hinterland, a dramatic citadel capital, and above all the warmest of welcomes for British visitors – Malta has it all! Fly to Malta, meet your Tour Manager and transfer to your chosen hotel in the delightful Qawra area of St Paul’s Bay. Spend today relaxing in your hotel or exploring your surroundings at your leisure. Join your Tour Manager for an included exploration of Valletta, the island’s fascinating capital. After a visit to the Malta Experience, an award-winning audio-visual presentation that places the city and the island in their historical context, you’ll see the major sights, including the Auberge de Castille, magnificent former home to the Knights of St John and now the Prime Minister’s office, and the Upper Barracca Gardens. Today’s included excursion will see you board the ferry for a crossing to the quaint port of Mgarr, gateway to Gozo – Malta’s smaller, greener sister isle. Visit Victoria – the island’s fortified capital – and the fascinating ‘Inland Sea’ at Dwerja. We’ll also stop at Calypso’s Cave overlooking sandy Ramla Bay, and the delightful coastal resort of Xlendi, before returning to Malta past the tiny islet of Comino. Spend your day resting and relaxing, and in the evening, join your fellow guests for an evening of traditional Maltese hospitality in the historic town of Mosta. Enjoy a meal of Maltese cuisine served by waiters dressed in authentic period costume, as well as a display of traditional Maltese music and dancing. On today’s included tour you’ll travel inland to Mdina, the ancient, fortified former capital with its spectacular rampart views and its narrow stone-built streets in the beautiful ‘silent city’. The tour also includes the Grotto at Rabat, where Bellini’s ‘St Paul’ depicts the apostle’s shipwreck on the island, and the famous domed church at Mosta, which survived a direct hit during the WW2 bombardment of the island. Our final included excursion explores the area across from Valletta’s Grand Harbour, where three medieval ‘cities’ reflect the island’s rich history. See one of the earliest Maltese Crosses in Vittoriosa, one of the Mediterranean’s oldest dockyards at Cospicua, and Senglea with its waterside houses and steps down to the sea. 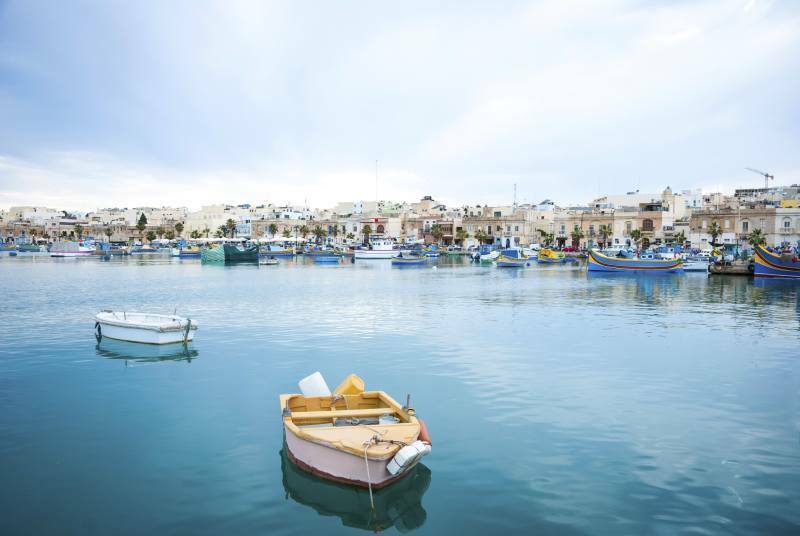 You’ll also pay a visit to the colourful fishing village of Marsaxlokk, with its busy market, and Tarxien, where ancient temples contain carved symbols not dissimilar to Celtic engravings. Transfer back to the airport for check-in and your flight home as your holiday to Malta draws to a close.